Do you need nice variety set of tweezers for you soldering projects? 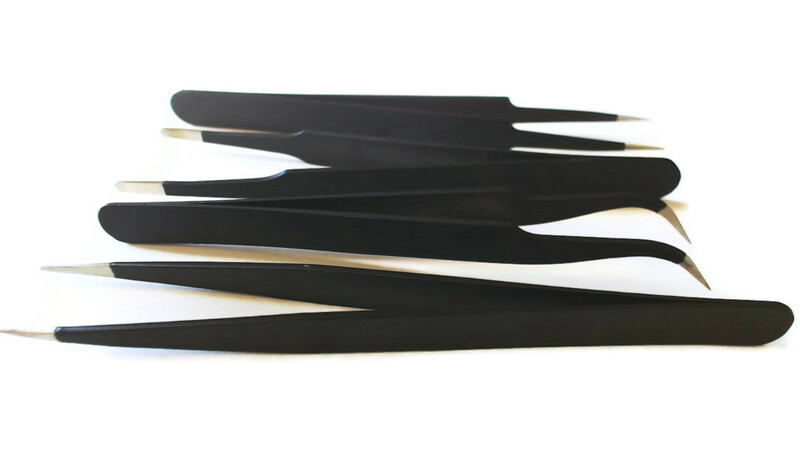 How about a 4-pack of anti-static, anti-magnetic, non-stick tweezers with 4 different heads. We use these ourselves for surface mount soldering mainly but, these could be used for working with other little projects that need a more precise grip. You will find these are high quality stainless steel with an anti-static black enamel paint. The points are sharp and detail specific for small projects.